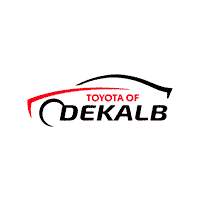 Why Choose Toyota of DeKalb? Shopping for a new or used car doesn’t have to be stressful. It doesn’t have to take up a lot of your valuable time. In fact, if you can believe it, the car shopping experience can actually be FUN. It all depends on where you choose to shop. If you’re looking for a new or used vehicle in or around Naperville, St. Charles, or Elgin, Illinois, then there’s only one dealership you need to know: Toyota of DeKalb. We take the stress out of car shopping, first by offering you a large selection, then by offering amazing savings opportunities. And always, always by treating you right. If you’re in the market for a brand-new Toyota, you’ll find all of them here at Toyota of DeKalb, waiting for your test drive. Explore the RAV4, the C-HR, the Camry, and the Corolla – all the latest models, chock-full of amazing features and value, and priced to sell! If you prefer buying used, our carefully stocked selection of high-quality pre-owned vehicles is sure to have something that catches your eye. Beyond our Toyota favorites, we keep a varied array of models from other popular brands like Chevrolet, Hyundai, and Ford. Explore our inventory online and then head to our conveniently located dealership for an exiting test drive or two. Toyota of DeKalb has just what you’ve been looking for. The most important element of your new or used car purchase is probably price. At our dealership, we want to make sure that you never have to settle for less than what you really want. That means we’ll work with your unique budget and financial situation and help you get the price and monthly payments for your favorite vehicle where you need them to be. We start from a baseline of affordability, by pricing all of the vehicles on our lot low from the get-go. You’ll see amazing sticker prices as you browse our lot, but that’s just the start of the savings. From there, we add in things like factory incentives, special lease offers, low-interest finance plans, and our own dealer discounts to make sure you’re getting the best possible deal. Even our used vehicles are subject to incredible specials, so feel free to browse our selection and find your ultimate pre-owned car. We’ll take its already low price and pile on the savings! At Toyota of DeKalb, we value your time, your money, and your business. That’s why we make it our mission to ensure that your experience with our dealership is pleasant and rewarding. Whether you’re here to explore your options, purchase or lease a new Toyota or a used vehicle, or receive top-quality auto care in our service center, you’ll be treated right by every member of our team. Our collective goal is 100% customer satisfaction, and that’s evident from the moment you arrive at Toyota of DeKalb. Visit us today and put us to the test.